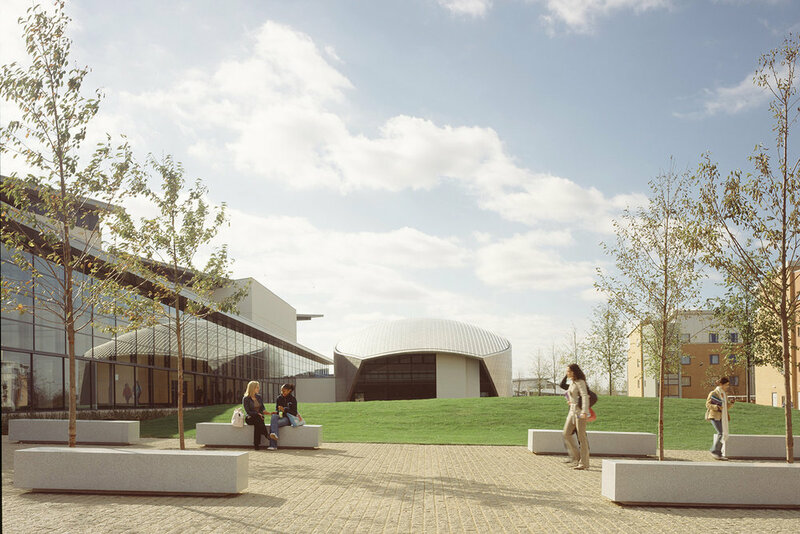 This sculptural, stainless-steel clad auditorium is a focal point within the de Havilland campus and the wider community. The building provides a flexible 465 seat public performance facility, capable of hosting drama, cinema, conference and music events. Developed in close consultation with theatre and specialist acoustic designers the auditorium has become recognised as a primary venue in the area. As a cultural focus for the region, UH Arts run a broad spectrum of highly acclaimed events throughout the year and is a key component of the University’s community engagement programme in addition to providing a large scale lecture space and conference venue for the University.